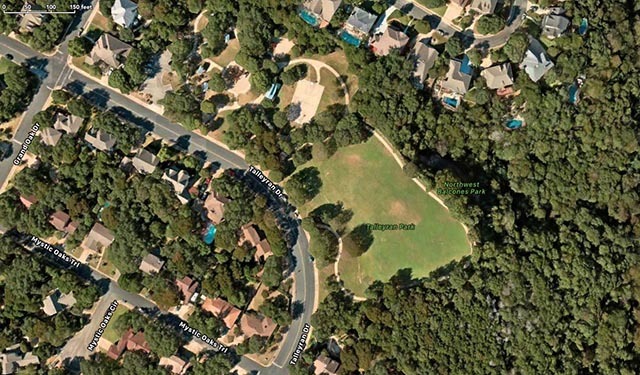 Northwest Balcones Park located at 10201 Talleyran Dr., Austin, TX 78757, is a quiet relatively dark neighborhood park with parking, and restroom facilities. Two sides of the park are forested greenbelt areas and the adjacent road has light traffic. Like other Austin neighborhood parks the posted closing time is 10 PM.